Seems far more intuitive for driving than Google’s offering. I like how you can download entire maps for countries or down to your area. Not bad at all. This version is snappy, easy to use. Although it says in beta, it doesn't feel like it. 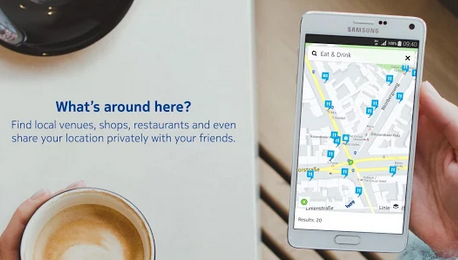 Nokia has now released a beta version 1.0 of HERE Maps for Android 4.1 and up on the Play Store. The mapping app enables you to search, navigate or get directions around the world, with the ability to download interactive maps to your smartphone or tablet for offline navigation. HERE Maps helps you get from A to B with turn-by-turn driving and walking guidance, even without an Internet connection, and interactive maps of 100+ countries that can be downloaded, saved and used offline. To help you avoid travel delays, HERE Maps also provides live traffic and public transport information. 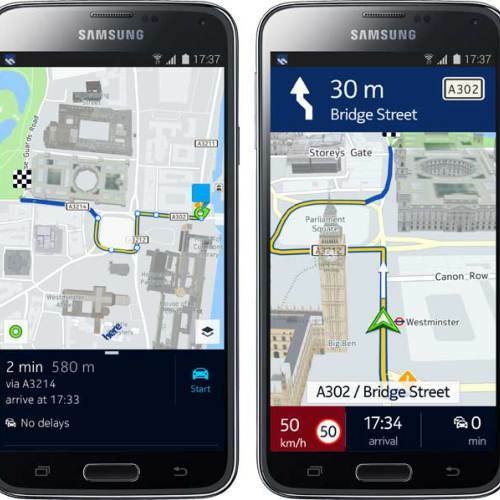 Originally focused on Windows Phone for HERE Maps, Nokia as now released the Android app and a iOS app will follow. Nokia’s end of its partnership with Microsoft and the low market share of Windows Phone, has seem them able to widen their apps base. With the Android version of the app now available, Nokia will also release HERE Maps for iOS early next year. Always know where you’re going: Turn-by-turn drive and walk voice guidance, even without an Internet connection. Maps that always work: Interactive maps of more than 100 countries that you can download, save and use offline. Choose the fastest way: Public transport maps, directions and information for more than 800 cities in more than 40 countries. Avoid delays: Real-time traffic and road closure information for more than 40 countries. Plan trips before you go: Personalize maps on your phone or here.com and store all the places you’d like see when you get there. Meet up easily with friends: Glympse lets you share your travel progress and arrival time by text or email.